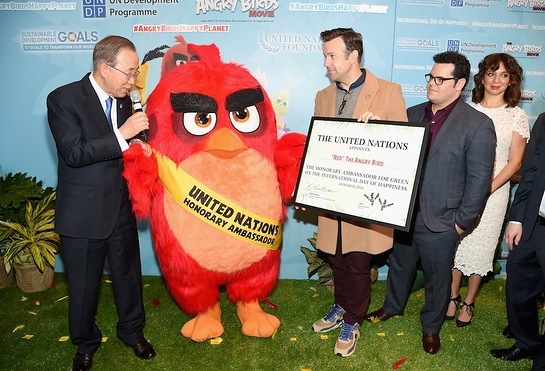 Red, the starring animated character voiced by US star Jason Sudeikis in the upcoming “The Angry Birds Movie,” was named Honorary Ambassador for Green on the International Day of Happiness yesterday at the United Nations. 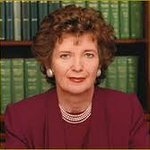 The International Day of Happiness recognizes that Gross Domestic Product alone cannot measure the wealth and well-being of a country’s population and a more inclusive, equitable, balanced and sustainable approach to growth and development is key to being happy. After United Nations Secretary-General Ban Ki-moon named Red as Honorary Ambassador for Green, the campaign was presented to hundreds of young people in the iconic General Assembly Hall of the United Nations. The presentation included the movie’s US stars Jason Sudeikis, Josh Gad and Maya Rudolph as well as producers John Cohen and Catherine Winder, who asked the attendees for their support to make the Angry Birds happy by doing their part to take action against climate change. They presented the “Help Red Go Green” materials including public service announcements created to support the campaign. By participating in the #AngryBirdsHappyPlanet campaign, individuals can make the Angry Birds happy and “Help Red Go Green” by posting photos and messages to show how they are protecting our planet by recycling, taking public transportation and conserving water, for example.